Sunday's Cabinet meeting heats up with a discussion on the PA's decision to apply for the International Criminal Court. Sunday's Cabinet meeting featured a discussion on the Palestinian Authority's appeal to the International Criminal Court at the Hague, as well as response measures taken - and to be taken - by the State of Israel. PA Chairman Mahmoud Abbas signed requests to join the ICC and 16 other conventions on Wednesday, a day after the United Nations Security Council failed to adopt a resolution paving the way to full statehood. Housing Minister Uri Ariel (Jewish Home) said sarcastically of the request, "I wish them health, but they are probably sick." Intelligence Minister Yuval Steinitz (Likud) also took the opportunity to criticize Labor Chairman Yitzhak Herzog and Hatnua Chairwoman Tzipi Livni for the PA's latest unilateral move. According to Steinitz, Livni and Herzog, the joint leaders of Labor-Hatnua's "Zionist camp," as their campaign is called, "are responsible for the situation. They are sucking up to the Palestinians. Livni met with Abbas and a Labor delegation traveled to Ramallah after the Palestinians refused to continue the latest round of negotiations." Earlier Sunday, Prime Minister Binyamin Netanyahu opened the weekly Cabinet by promising to defend the Israeli military from the PA's assault. 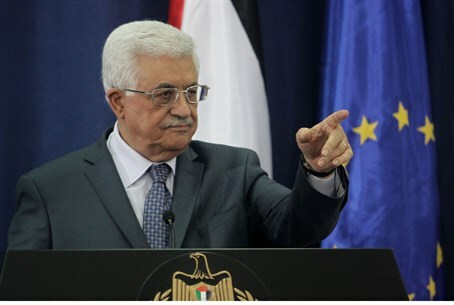 "The Palestinian Authority singled out Israel for confrontation, and we will not sit idly by. We will not let Israel Defense Forces (IDF) soldiers and officers be dragged to the International Criminal Court in The Hague," he declared. "It is the Palestinian Authority leaders - who have allied with the war criminals of Hamas - who must be called to account," Netanyahu continued. "The soldiers of the IDF will continue to defend the State of Israel with strength and determination and just as they defend us, we will defend them with the same strength and determination."